I’ve been super good lately with cooking during the week. 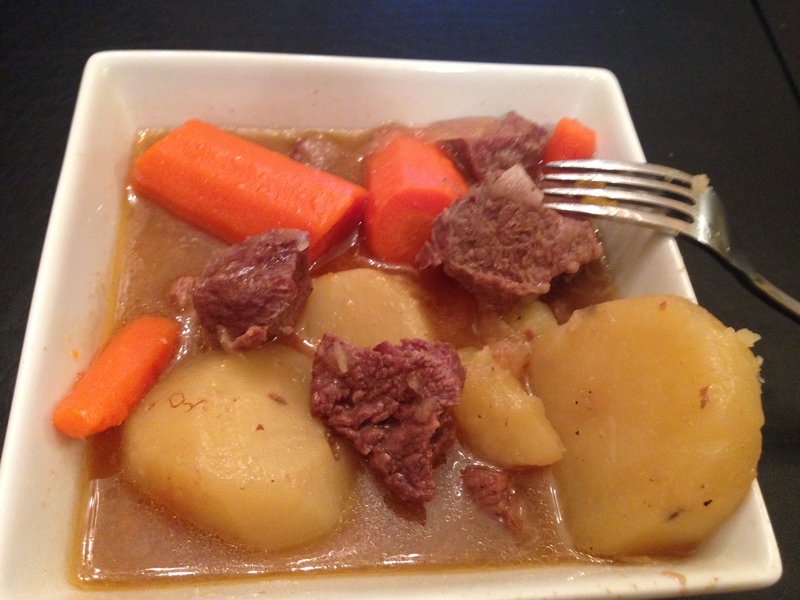 I was in the mood for a fall stew (since it’s feeling more like fall right now than spring!) 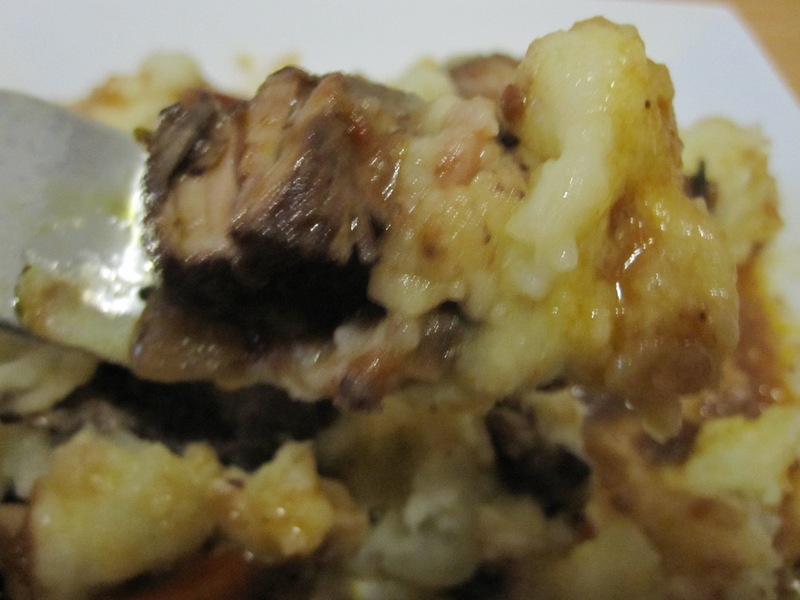 I created this recipe and really enjoyed making it. 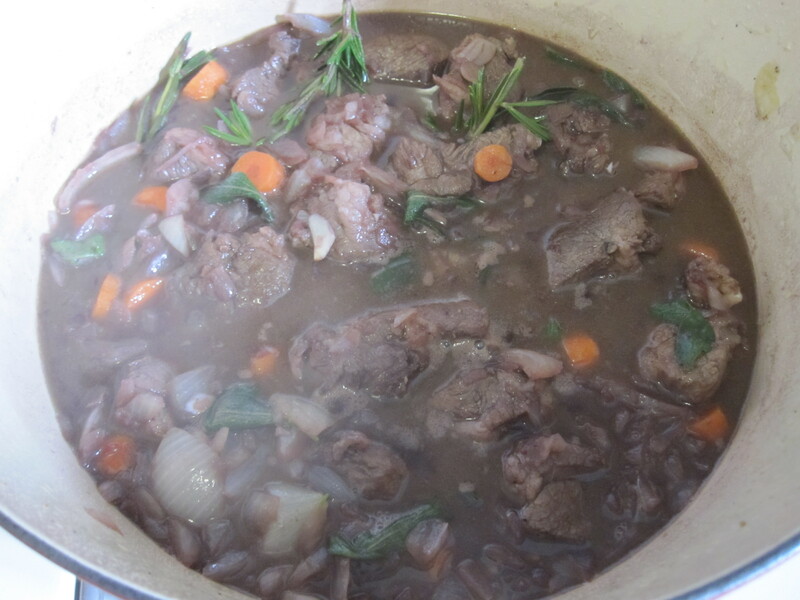 It was really simple and smelled amazing cooking during the day. I think the flour really got the beef to a nice brown and the long cooking made the meat super soft! 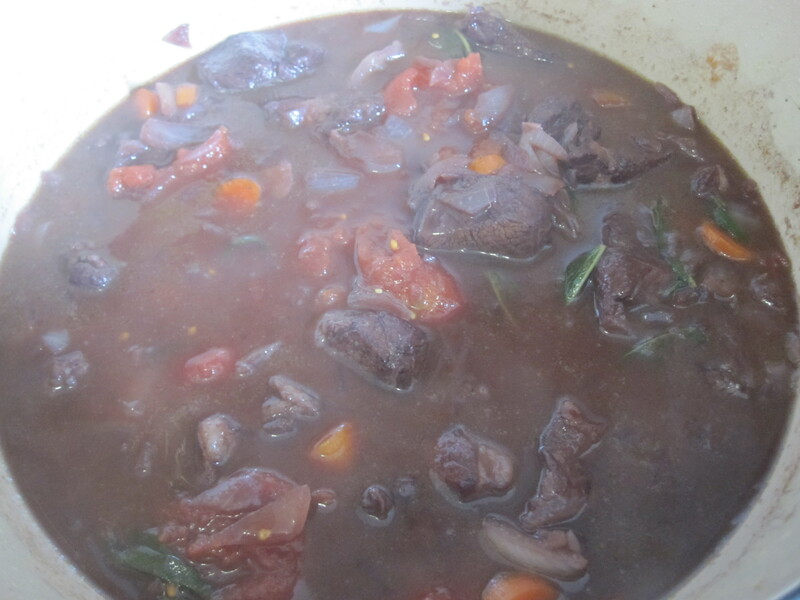 If you’re in the mood for a hearty stew and a yummy smelling kitchen – give it a try! Season the beef and coat the beef with flour, just enough to get the pieces lightly dusted. 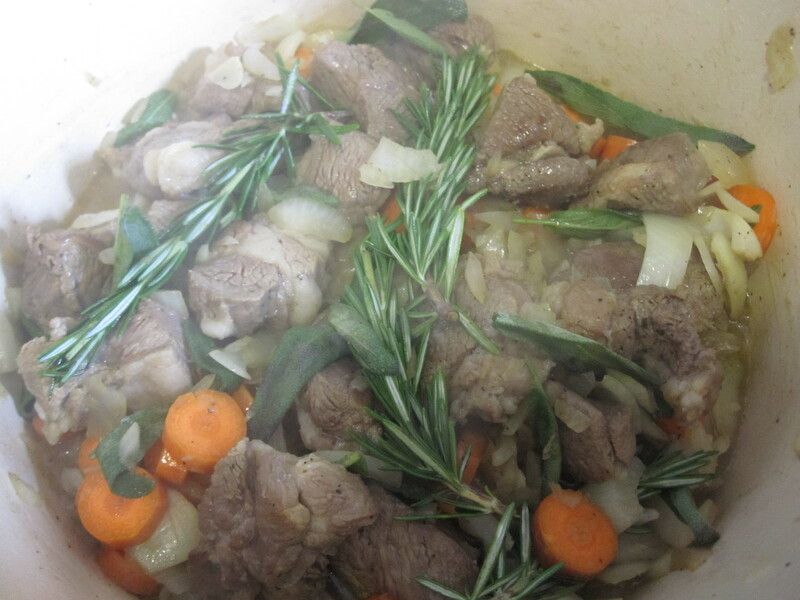 In a dutch oven, warm vegetable oil and brown the beef in batches and set aside. Boil 5 cups of water. 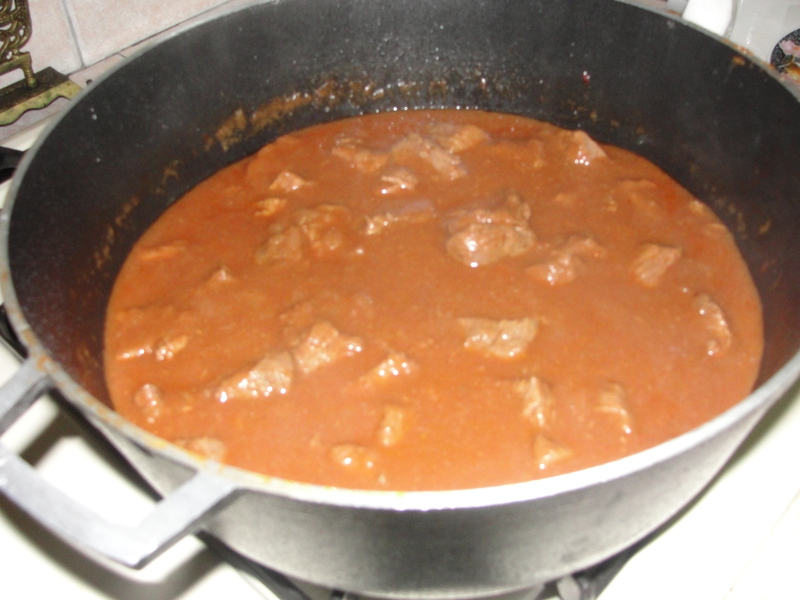 Once you are done with the last batch browning, add the rest of the beef you set aside and add the 4 cups of boiled water to the pot. 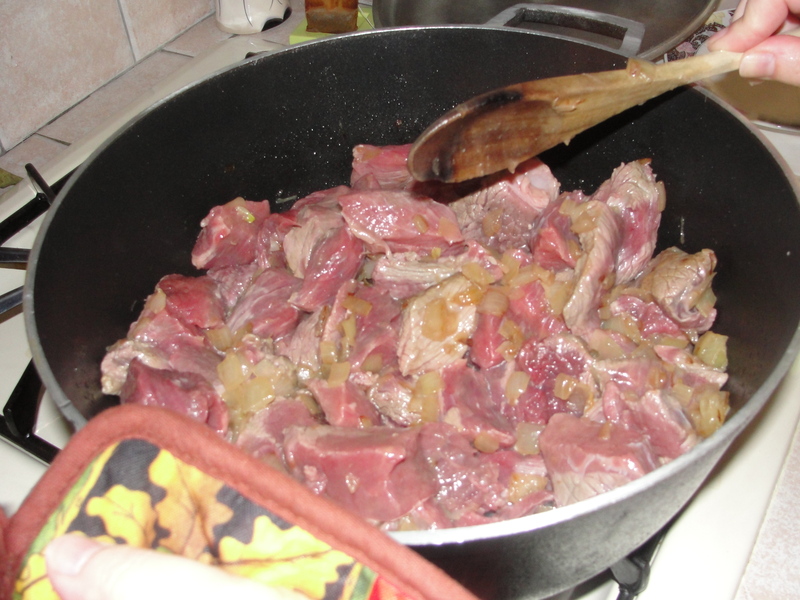 Add the onion, bay leaves, and beef stock and reduce the heat to low, cover the pot, and let it simmer for 1.5 hours. Add carrots, potatoes, and season the broth with garlic powder, salt and pepper to taste. Cook for another 45 minutes and enjoy! I got this new amazing fontignac french oven for my birthday. I just have to say that in comparison with a Le Creuset, for the cost, these are great quality and the food comes out so delicious. To this day, this is my #2 best thing i’ve ever made. Seriously…. holy…. wow!!! 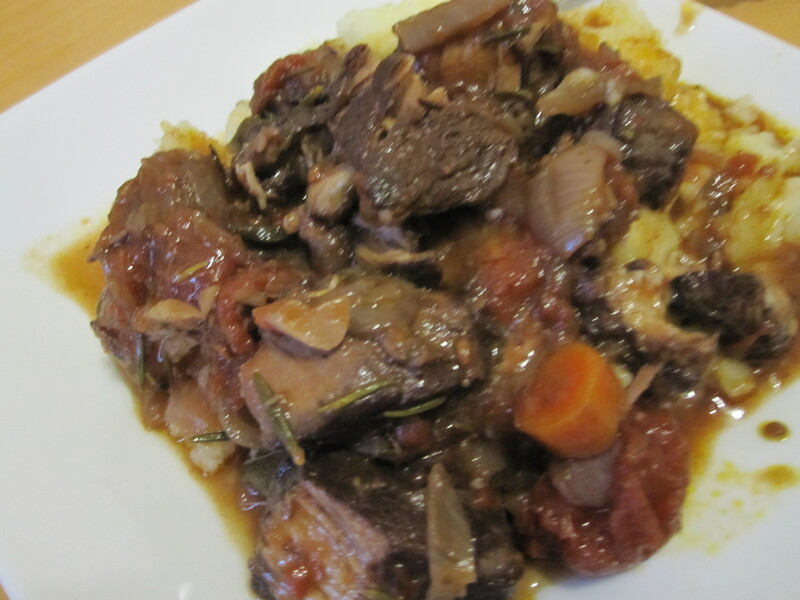 Lamb Stew – adapted from thekitchn. 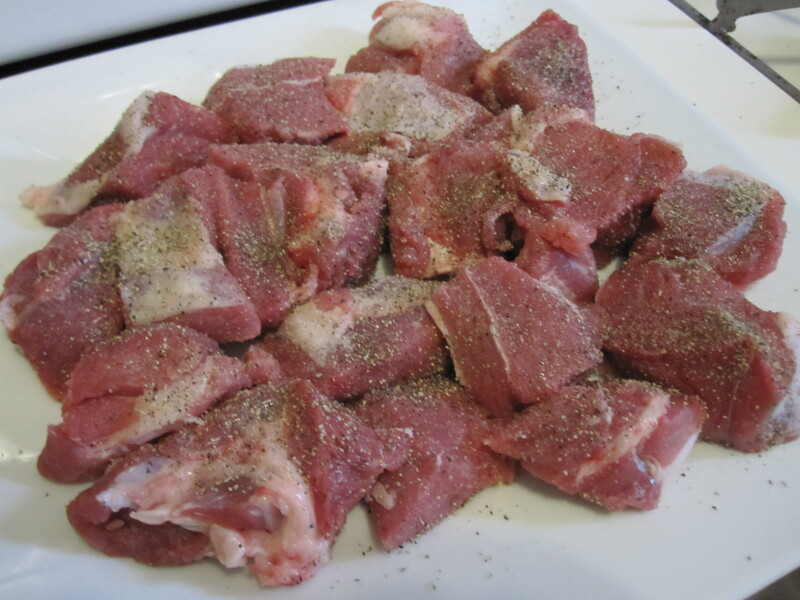 Pat the lamb chunks dry with a paper towel. 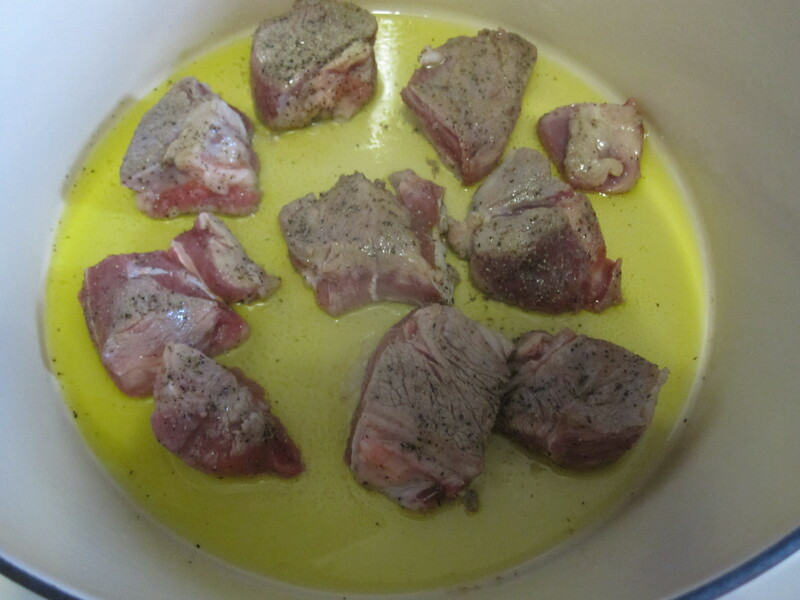 Liberally coat the lamb chunks with salt and pepper and set aside. Peel and coarsely chop the onions, and chop the garlic. Chop the carrot into thin rounds. 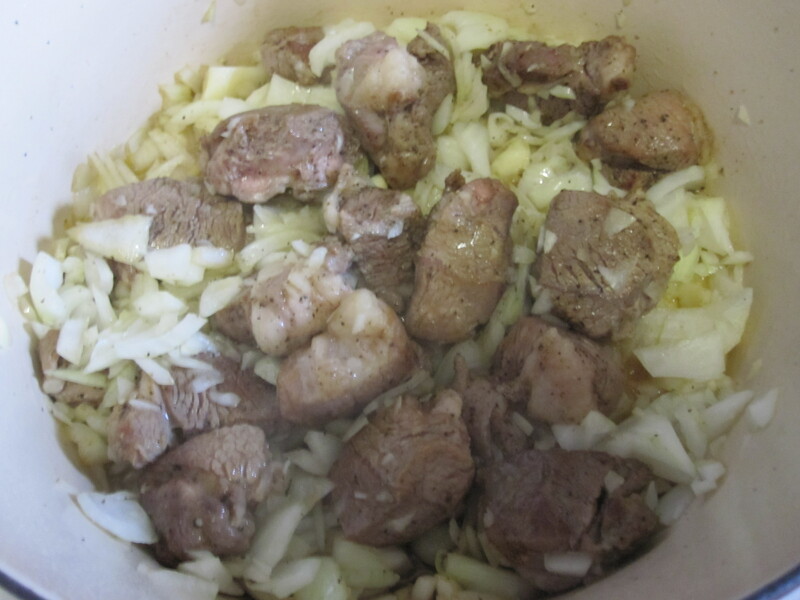 When the meat is thoroughly browned, add the onions and garlic. 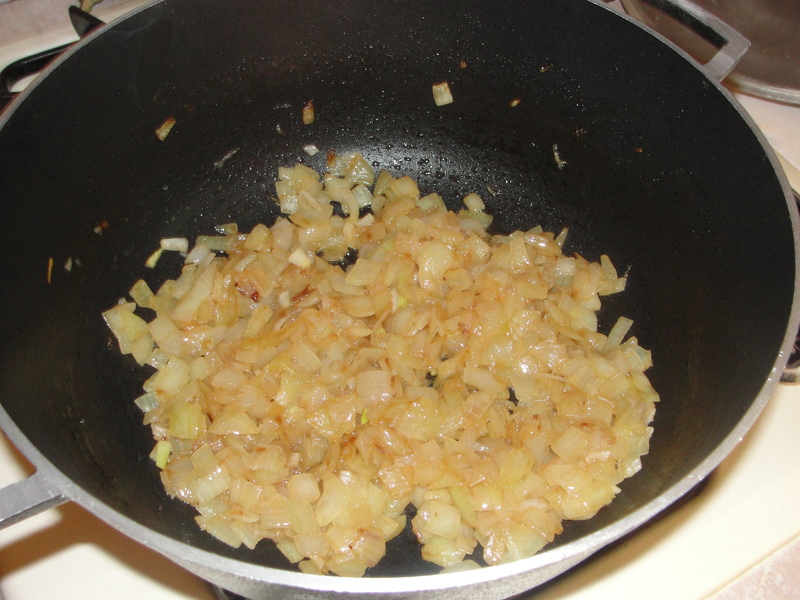 Lower the heat, and cook slowly over medium heat for about 10 minutes or until the onions are golden. 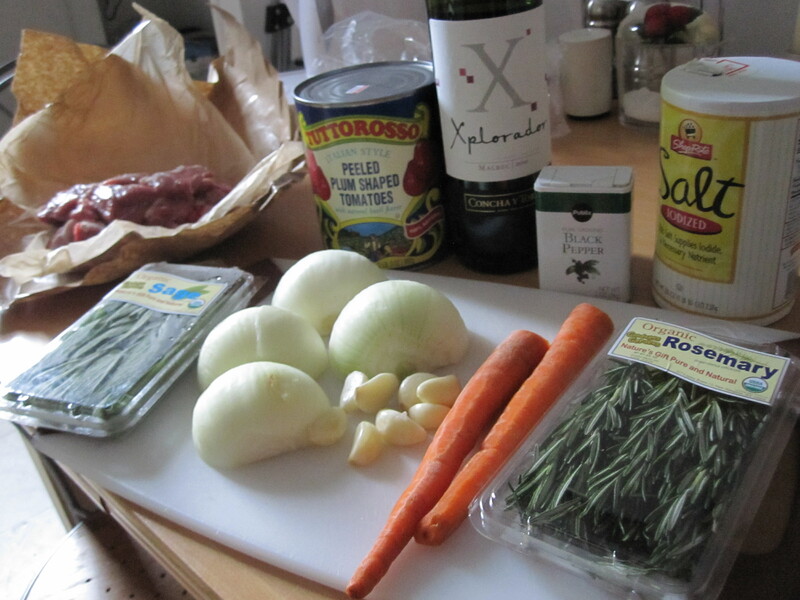 Add the rosemary and sage, and the carrots. 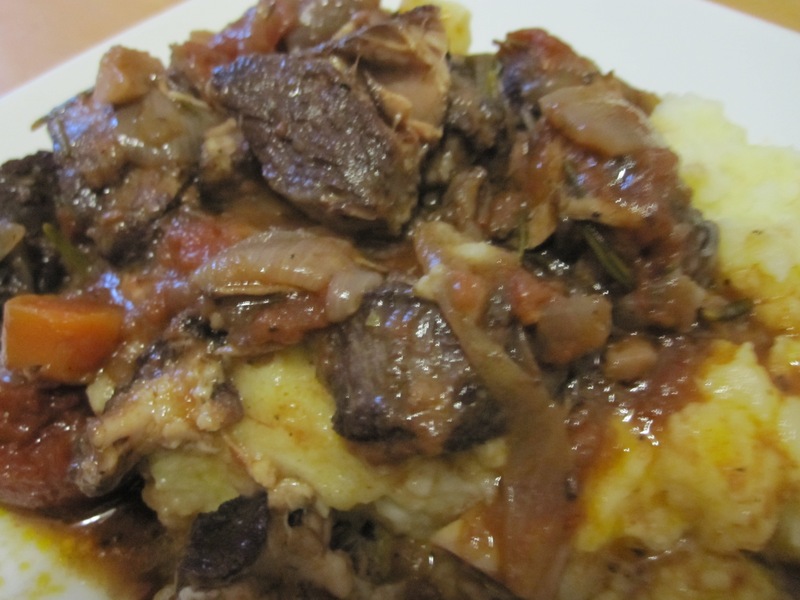 Reduce heat to medium-low and sauté until vegetables are softened, about 5 minutes. 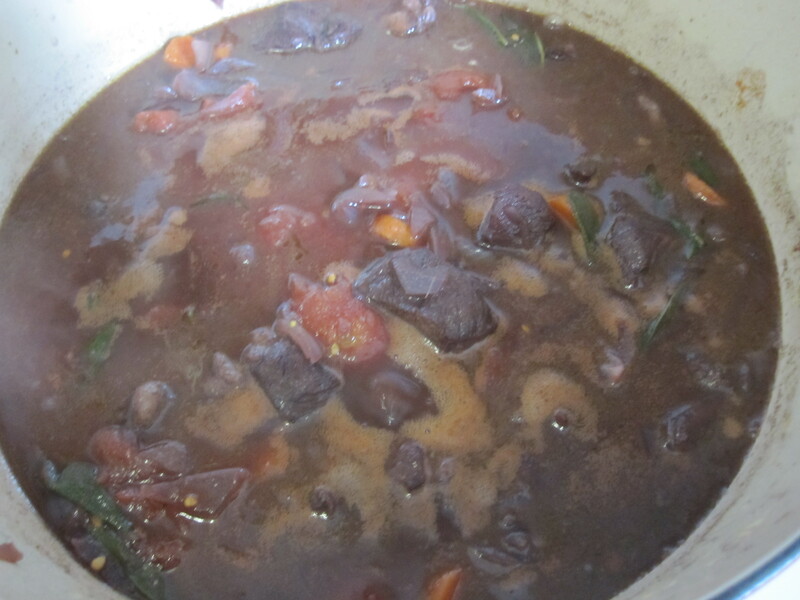 Add wine and balsamic vinegar and continue to simmer until liquid has reduced by half, about 10 minutes. Crush the tomatoes in the can with a fork or back of a spoon, then add them and their juices to the pot. Bring to a simmer, then cover and place in a 275-degree oven for 3 to 4 hours. Alternately, put everything in a slow cooker and cook for 4 hours on HIGH or at least 8 hours on LOW. The longer it cooks the more tender it will be. Season with salt and pepper. 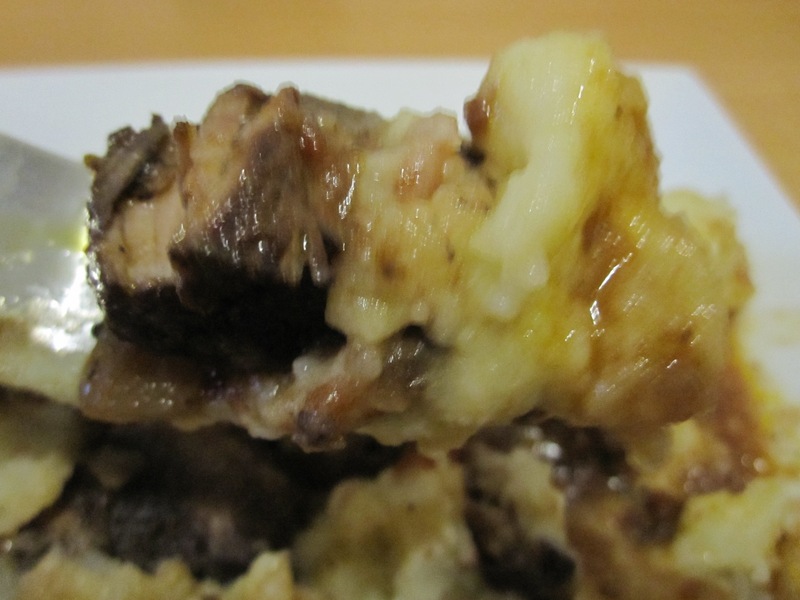 I would recommend serving with mashed potatoes as it creates more decadence, flavor, and texture. This smells SOOOOO good, too. 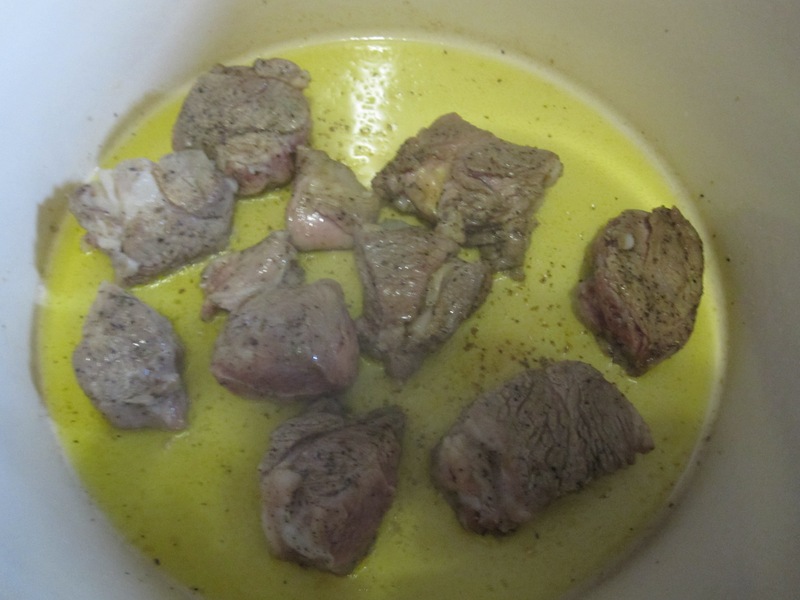 I made it again for my parents with 1/2 filet mignon chunks and 1/2 lamb!